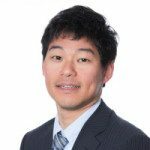 There is much discussion in the industry about analytic engines and, specifically, which engines best meet various analytic needs. This post looks at two popular engines, Hive and Presto, and assesses the best uses for each. Hive translates SQL queries into multiple stages of MapReduce and it is powerful enough to handle huge numbers of jobs (Although as Arun C Murthy pointed out, modern Hive runs on Tez whose computational model is similar to Spark’s). MapReduce is fault-tolerant since it stores the intermediate results into disks and enables batch-style data processing. Many of our customers issue thousands of Hive queries to our service on a daily basis. A key advantage of Hive over newer SQL-on-Hadoop engines is robustness: Other engines like Cloudera’s Impala and Presto require careful optimizations when two large tables (100M rows and above) are joined. Hive can join tables with billions of rows with ease and should the jobs fail it retries automatically. Furthermore, Hive itself is becoming faster as a result of the Hortonworks Stinger initiative. In some instances simply processing SQL queries is not enough—it is necessary to process queries as quickly as possible so that data scientists and analysts can use Treasure Data for quickly gaining insights from their data collections. For these instances Treasure Data offers the Presto query engine. Presto is an in-memory distributed SQL query engine developed by Facebook that has been open-sourced since November 2013. Presto has been adopted at Treasure Data for its usability and performance. Hive is optimized for query throughput, while Presto is optimized for latency. Presto has a limitation on the maximum amount of memory that each task in a query can store, so if a query requires a large amount of memory, the query simply fails. Such error handling logic (or a lack thereof) is acceptable for interactive queries; however, for daily/weekly reports that must run reliably, it is ill-suited. For such tasks, Hive is a better alternative. In terms of data-processing models, Hive is often described as a pull model, since its MapReduce stage pulls data from the preceding tasks. Presto follows the push model, which is a traditional implementation of DBMS, processing a SQL query using multiple stages running concurrently. An upstream stage receives data from its downstream stages, so the intermediate data can be passed directly without using disks. If the query consists of multiple stages, Presto can be 100 or more times faster than Hive. 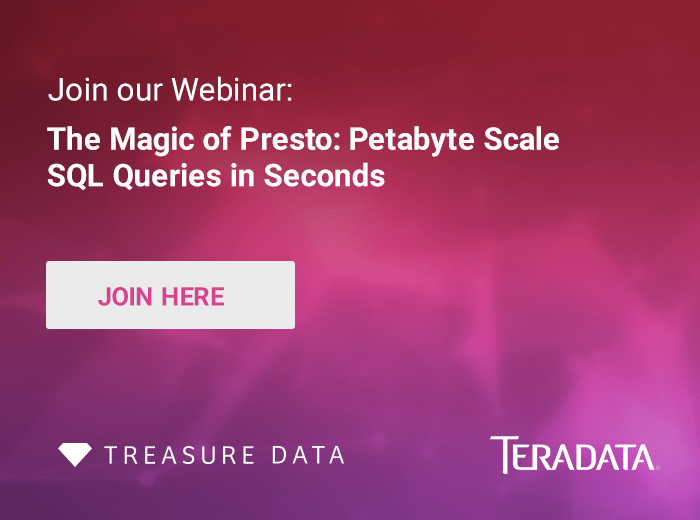 Learn how Treasure Data customers can utilize the power of distributed query engines without any configuration or maintenance of complex cluster systems.